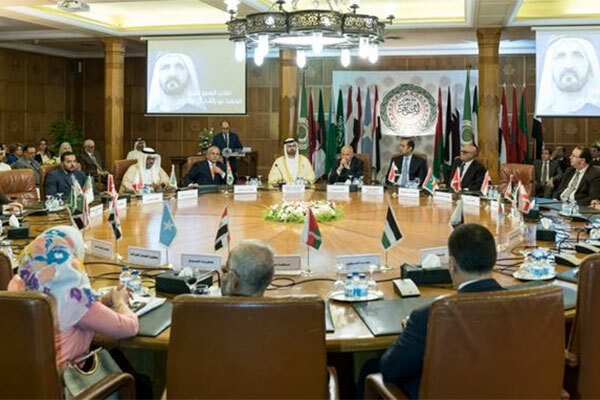 The Arab League has honoured Vice President and Prime Minister of the UAE and Ruler of Dubai Sheikh Mohammed bin Rashid Al Maktoum with the ‘Arab League Shield for Leadership in Arab Development’ in recognition of his contributions to the development of the Arab world. The award also cited his innovative vision for empowering Arab communities, spreading knowledge, and creating a stable and brighter future. The prestigious shield recognises HH Sheikh Mohammed’s efforts in leading development initiatives not only in the UAE but also the Arab world. “Sheikh Mohammed was able to deeply instil the values of creativity and innovation in Dubai, which has become a symbol of Arab pride, and an example for the region to follow. When we look at Dubai, we see an innovative government that inspires people to take the initiative, and constantly work towards creating a bright future,” he added. Aboul-Gheit also said that Dubai’s development model places human assets at its centre instead of natural resources which we can potentially run out of. “His Highness considers the role of the government to enable people to unleash their positive energies, and create a conducive environment for creativity and innovation,” Aboul-Gheit added. Minister of Cabinet Affairs and The Future Mohammed Abdullah Al Gergawi received the Award on behalf of Sheikh Mohammed bin Rashid at a ceremony held at the Arab League headquarters in Cairo, Egypt. The Arab League Shield for Leadership in Arab Development is awarded to exceptional personalities and role models in the field of sustainable development in the Arab world. The UAE ranks number one globally in 50 indices in vital community and service sectors, according to the Global Competitiveness Index 2017-2018. Key indices that the UAE leads both in the region and the world include the quality of government decisions, the government’s ability to adapt to changes, the effectiveness of government spending, and the absence of a tax effect on investment attractiveness as well as the education sector. It also has top rankings in areas like public-private partnerships, development and application of technology, the quality of tourism infrastructure, corporate digitisation, gender equity, tolerance of foreigners and low violent crime.